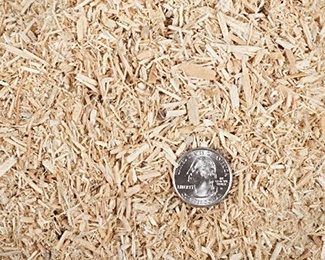 In an effort to keep wood waste from our saws out of landfills, Challenger Pallet grinds these pieces into a coarse “sawdust”. This product is used by many of the local equestrian facilities with great success. Due to the dry nature of the wood fiber, this bedding is very absorbent and has a wonderful pine smell. Locally in the Idaho Falls area we are able to deliver bulk loads in a dump truck which holds roughly 24 cubic yards. For longer distance deliveries we ship in a semi-van with a walking floor. This trailer holds 110 cubic yards and frequently makes trips around Idaho, Utah, and Wyoming. For a quote on animal bedding, please give Cole a call at 208-523-1969 ext. 815. We also set aside cutoffs from our 2x4 and 2x6 units for firewood. This is accumulated over the summer and is stored outside, which makes it extra dry come fall. 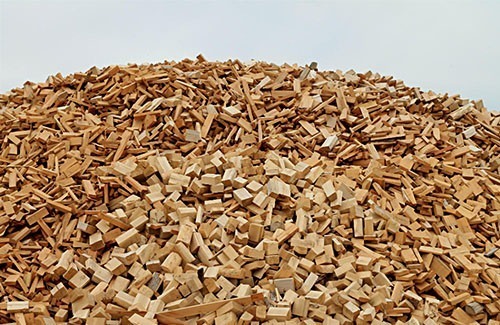 This firewood burns hot and is a great source for heat in any wood stove over the winter months. Our deliveries of firewood cover Idaho Falls, Rigby, Rexburg, Shelley, and Blackfoot. We will also load your trailer with our front end loader. Unfortunately, we can’t load the back of pick-up trucks. For our current price per loose cord, please give Cole a call at 208-523-1969 ext. 815.